Humans lie. Even animals lie. Lying can build relationships, and even when the recipient of a lie knows it’s a lie, the lie and the liar are appreciated. The harm of a social lie is minimal compared to the benefit. Lying, in of itself, is part of the normal human experience. Humans tend to accept and believe lies. Otherwise, humans wouldn’t lie, as acceptance and belief are the purpose. Some political lies are valuable to humanity. Ozone in the atmosphere helps protect us from solar radiation. You’ve heard of the “ozone hole.” It’s a hole in the air above the north and south pole, that lets in dangerous radiation — except, there is no “hole.” There is some depletion, much of it natural and cyclical, but the notion of a “hole” is a lie. The value of the ozone “hole,” or more specifically the value of calling it a “hole,” is that it creates a picture in our minds. This picture makes us amenable to paying the cost and suffering inconvenience of eliminating chlorofluorocarbons(CFCs), halons, and other ozone-depleting chemicals, which are used in air conditioning and spray propellants. So the hole is a lie, but it’s a “good lie.” The harm is minimal compared to the benefit. 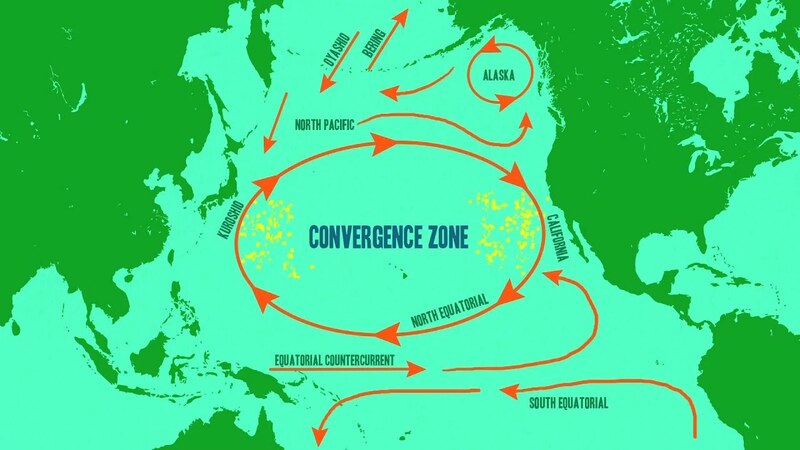 In the same vein, you may have heard of the “Great Pacific Garbage Patch.” It’s an area of the Pacific Ocean where the natural currents create a swirl that entraps all floating trash, which builds up into piles of plastic, wood, bottles, sludge, chemicals, and other floatables. It is a disgusting example of how mankind is polluting even our largest ocean, and is a good reason why we should exert every effort to reduce pollution — except the Great Pacific Garbage Patch is a lie. It doesn’t exist, at least not the way you might visualize it. The words probably draw to your mind a picture of a huge floating island of garbage, but in fact, the “Great Pacific Garbage Patch” is invisible. It merely is an area of the ocean that has a slightly higher concentration of particulate matter, especially plastic particles. You could boat or even swim right through it and not realize it. The problem is that when fish swim through it, a few of those tiny plastic particles might be ingested and enter their flesh, and when we eat those fish, the plastic enters our bodies, with potentially harmful physical effects. The value of the “Great Pacific Garbage Patch” lie is that by drawing a vivid pollution picture, it might encourage stricter anti-pollution laws (except under the current American political administration, which seems not to worry about pollution). So it’s a lie, but a “good” lie. The harm is minimal compared to the benefit. Because lying is such a common part of our daily experience, we have evolved ways to deal with lies. To survive in our society, we must know which lies to accept as courteousness, which to believe as fact, and which to disbelieve. There are several aspects to lies that help make them seem believable, among which are:. Source: Do we trust the source delivering the lie? Logic: Does the lie sound reasonable? Desire: Do we have a personal motive to believe the lie? Repetition: Does the lie square with what we previously have heard? Though this blog discusses, in detail, why each of these statements is false, many people resist the facts. That is, despite proof showing otherwise, they continue to believe the lie, because. Trusted sources like the media, the politicians, and many economists promulgate The Big Lie. Because The Big Lie equates federal financing with people’s own personal financial experience, the lie sounds reasonable. People want to believe The Big Lie because it justifies their desire to cut benefits to those who are poorer. The incessant, unrelenting repetition of the lie. It condones the easing of federal regulations meant to stop criminal bankers. It rationalizes the reduction in budgets for food, drug, and environmental protections. It reduces federal spending that grows the economy. The Big Lie clearly is harmful, but does it have any redeeming qualities? Some would say, “Yes.” They would say The Big Lie discourages Americans from constantly asking the federal government for benefits and it lessens the likelihood Congress will provide an endless succession of those benefits. They would say that without The Big Lie, federal politicians, hoping to please constituents with gifts and tax cuts, would be helpless to prevent the massive growth of federal spending. Said as briefly as possible, The Big Lie prevents “excessive” deficit spending. And that leaves us with a question: What is “excessive” deficit spending? There are those of a Libertarian bent, who believe the federal government is too big and powerful (to use their favorite word a “Leviathan”), and most or even any deficit spending is too much. That belief cannot be argued. There is no proof possible that the federal government is “too big.” It is an emotional, not a factual, judgment. We can observe however that in 1940, the federal “debt” was $40 billion, and some called it a “ticking time bomb.“ Today, it is $14 trillion, and that time bomb still is ticking. We also can observe that every recession and depression has been introduced by reduced deficit growth, and every recession and depression has been cured by increased deficit growth. Then, there are those who believe “excessive” federal deficit spending causes inflations, even Zimbabwe-style hyperinflations. However, we can observe that despite periods of massive deficit spending, the U.S. never in its history has had a hyperinflation. World inflation is caused by oil prices. The Fed controls U.S. inflation by increasing the Demand for the dollar, via interest rate control. Finally, what about the theoretical helplessness of politicians to resist demands for deficit spending, if the public realized the federal government cannot run short of dollars, and does not use tax dollars? Politicians already yield to demands for gifts and tax cuts — but from their biggest contributors, the rich. Public understanding of Monetary Sovereignty would put the 99.9% on a par with the richest .1%. Deficit spending and tax cuts stimulate economic growth and enrich the populace, especially the 99.9% who benefit from social spending, the largest part of the federal budget. Cuts to regressive taxes — FICA, sales taxes, and remarkably even net income taxes (after special deductions for the rich) also would benefit the 99.9%. Deficit spending is limited only by an inflation the Fed cannot control via interest rates. The Fed already determines current and future inflation. It adjusts interest rates upward when it believes inflation will rise above its target rate of about 2.5%. It lowers rates when it believes inflation will fall below its target rate. The Fed alrady acts not only as a control but as a barometer. If the Fed ever merely were to announce, “We predict inflation will be too high and we will not be able to control it reasonably close to our 2.5% target,” the politicians could use that announcement, not The Big Lie, as their excuse to resist further federal spending, or even to cut federal spending. In summary, there are no excuses for The Big Lie. There is no value to The Big Lie. The harm is enormous compared to the non-existent benefit. How about telling The Big Truth: Monetary Sovereignty.